The Austrian lighting company announced ist fourth quarters results today. Consolidated revenues were up by 4.2% at € 1,280.3m (2010/11: € 1.228.2m). 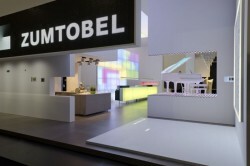 Zumtobel´s Profit for the year was 68.9% below previous year at € 16.0m. This article includes a total of 1162 words.